Our Mother’s Day sale is going on now until Friday and I wanted to highlight some of my favorite pieces that are now 10% off! A simple piece like this is a classic look that you can’t go wrong with as a gift for Mom. A diamond is a simple gift idea that will truly go with anything and the stone can be set in 3, 4, or 6 prong settings or a bezel setting depending on the personal style that Mom best enjoys. 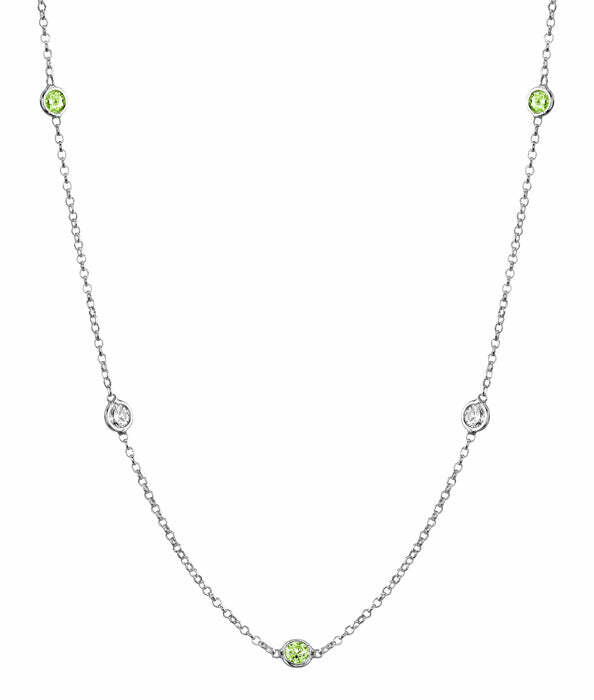 A peridot station necklace is a great gift idea for this season both because the bright green peridots have an air of springtime to them due to their youthful color. The peridot is also nicknamed the “evening emerald” as it appears darker in the evening and is an alternative to the emerald gemstone, which makes it a great affordable gift idea for the month of May. 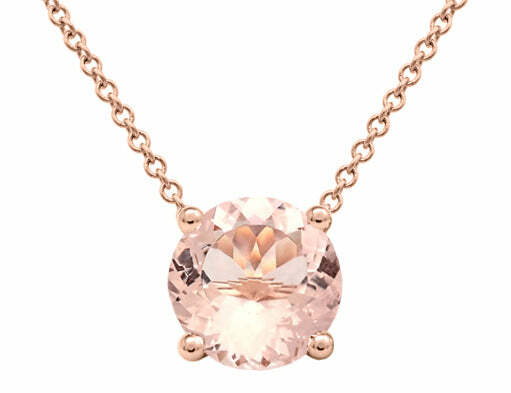 The next choice is the morganite version of the solitaire pendant in rose gold. Morganite stones have such a lovely pinkish color to them that is sweet, sentimental, and romantic. Their light color is ideal for springtime and is a great way to show a Mom how much you love and appreciate her. 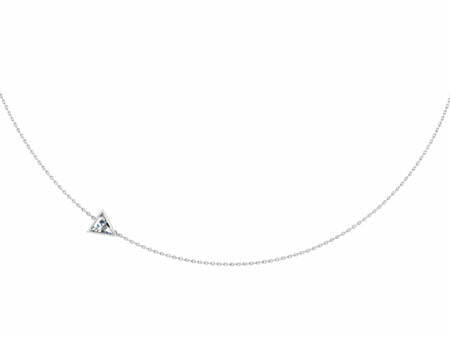 A kite set pendant gives a unique spin on diamond pendant jewelry and especially those that utilize a princess cut diamond. 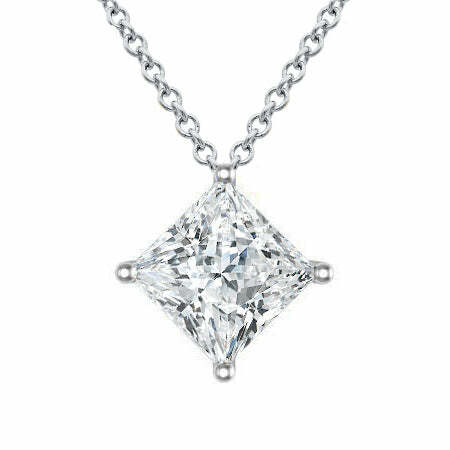 With a kite setting, the diamond is set with one corner of the princess diamond attached to the chain allowing the rest of the diamond to hang free in a unique geometrical pattern that is similar to the geometrical rhombus diamond shape. 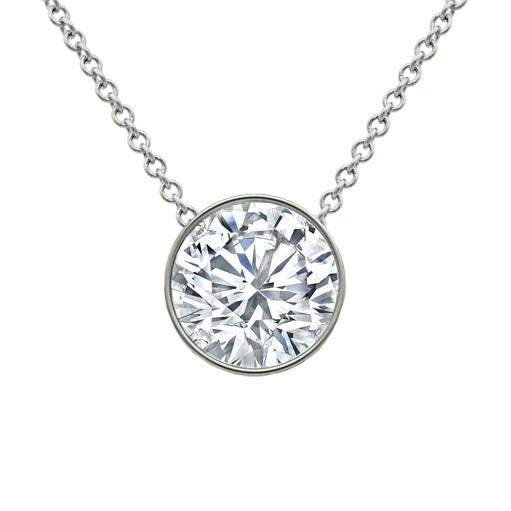 This style has a bit of a more fancy appearance, but with the same cost as any other kind of diamond pendant. A necklace with a bezel set trillion cut diamond is a unique asymmetrical style that is fashion forward and distinct. Other pieces on this list may be things that Mom had gotten as gifts for other occasions or from other people, but a necklace like this is quite unique and Mom is unlikely to have something similar already as a part of her collection. It is also very futuristic as well as beautiful. We hope you enjoyed this look at some of my favorite gift ideas for Mom. All of these pieces are on sale until Friday May 8th for 10% off!